Nearly a month into the government shutdown, the United States Patent and Trademark Office continues to run at full capacity. The Patent Office is somewhat self-funded, in that the fees that applicants pay to file and prosecute patent applications are used to pay examiners and other staff. However, the Patent Office is not allowed to spend all of that money willy-nilly; its budget is set by Congress, and the Office is permitted to spend up to that budget limit assuming sufficient fees are collected. In past years, sufficient fees have been collected, and with great foresight, the Patent Office has funded an operating reserve account with some of those fees. While the Patent Office has a separate reserve fund which is supplied by fees paid in excess of the budget, the money into the operating reserve represent fees siphoned from the budget, perhaps the delta between the budget and the operating costs of the PTO. And, while the reserve fund is empty, the operating reserve has about $300 million. This is enough to keep the Patent Office running for a short time, about five weeks. The operating reserve is not exhausted, but is being steadily consumed with this shutdown. As it drains further, “non-essential” activities will be suspended. Examiners will likely pause their reviews of applications. However, the filing systems – and the staff necessary to support them – will remain online so that application filing deadlines can continue to be met. It is not clear what will happen if the shutdown continues to the point where there aren’t even fees to keep the filing systems up…. For many years, registered patent attorneys, patent agents, and some pro se inventors have been able to log into a secure portal at the Patent Office website to file and monitor patent applications. The portal is protected by both a password and a digital key that requires a lengthy certification process with the Patent Office, so it has mostly just been used by attorneys and agents. This past month, the Patent Office introduced MyUSPTO.gov, which it billed as a “new, simpler, and safer USPTO.gov account” through which you can access patent and trademark files, monitor a docket, create watches to keep track of competitive patents or your own, and to access the search databases for both patents and trademarks. It is an attempt to unify patent and trademark records, as well as the filing and monitoring systems previously available through the Patent Office only. Practitioners were asked to link their old portal accounts to their new MyUSPTO.gov accounts by the end of October. Fearing that the old portal would become inaccessible come November, I did this at the beginning of October. What I’ve learned is that while MyUSPTO.gov does offer all the things mentioned above, it also additionally requires two-step verification each day, after completing a prolonged CAPTCHA. This is annoying and unnecessary. 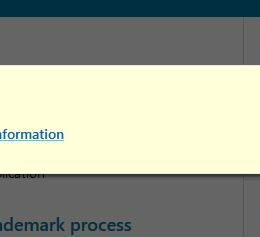 I’m not aware of any other provider that requires daily two-step verification; even WIPO doesn’t have it. As a result, I haven’t been using the MyUSPTO.gov login at all. All of the old services are accessible, and more easily accessible than MyUSPTO.gov. The USPTO is reporting that the digital keys will be officially retired in December, and that a new Patent Center software suite will be rolled out in 2020. As long as the Office continues to provide the old portal login system, I will probably use it, unless they ease this two-step requirement. This article covers reinstatement of an expired patent – not revival of an abandoned patent application. They are very different, and I’ve previously written about the reviving an abandoned patent application. After a patent issues, regular maintenance fees must be paid to keep it alive. At the each of 3.5 year mark, 7.5 year mark, and 11.5 year mark, a six-month window opens in which the patent owner can pay the required maintenance fees. The fees are different in each window, and they increase over time. If the fees are timely paid, the patent will remain in force until the next window. If the fees are not paid, however, the patent will expire. As such, it is crucial that patent owners create reminders for these windows. They should probably create reminders on two separate calendar systems, as deadlines years in the future can be difficult to track. Nevertheless, sometimes a maintenance fee is missed, and the patent does expire. There is a limited avenue to bring the patent back to life, however. A petition can be filed with the Patent Office requesting the delayed payment of a maintenance fee, if the delay was unintentional. Any petition to accept an unintentionally delayed payment of a maintenance fee must include the missed maintenance fee, a petition fee, a statement that the delay in payment of the maintenance fee was unintentional. Sometimes, with long delays, the Patent Office will request require additional information regarding the delay, to determine whether it was truly unintentional or not. If multiple maintenance fees are missed, it is possible to still reinstate the patent. However, each maintenance fee must be paid along with the petition fee, and this could be quite expensive. At the time of this writing, the petition fee only is $2,000 for large entities and $1,000 for small entities. And, if multiple maintenance fees have been missed, the delay is likely quite long, and the Patent Office will almost certainly inquire about the delay. Is the U.S. Patent and Trademark Office Affected by the 2018 Government Shutdown? The U.S. Patent and Trademark Office is not affected by the shutdown which has closed many government offices and agencies after Congress failed to pass a funding resolution. Navigate to www.uspto.gov and you’ll be greeted by the banner announcing the Office is still open. While other agencies are dependent upon immediate funding for their continuance, the USPTO maintains a reserve account of funds. The funds allow the Office to continue operating at nearly full capacity for at least a few weeks. These are collected, in part, from the applicants that have filed and prosecuted patent and trademark applications in the United States in previous years. In December 2017, the Commerce Department issued a shutdown plan which noted: “The USPTO anticipates that it will have sufficient funds from other than current year appropriations to continue full operations for a brief period after a general lapse in appropriations commences. Therefore, all employees of the USPTO will be excepted for such period following a lapse in appropriations.” Commerce Secretary Wilbur Ross emailed USPTO employees on Friday, January 19, 2018 directing them to continue reporting for work until they were notified otherwise. Collections from previous years enable the USPTO to operate despite furloughs at other federal agencies. The USPTO is well-funded; in fact, it generates far more money in fees than it consumes in expenses. However, fee diversion moves much of its revenue to other governmental agencies. The 2011 America Invents Act allows the Office to trap some of those fees into the reserve account before they can be diverted outside the agency. Should the shutdown continue and the reserve funds be consumed, employees would begin to be furloughed. A small staff would nevertheless remain to accept new applications and to maintain the IT infrastructure. The electronic filing systems through which most patent attorneys and agents correspond with the USPTO would continue to operate, allowing filing dates to be established and deadlines to be met. The shutdown does close down the File Repository Warehouse, where the paper files for older patent applications are maintained. That warehouse is not operated by the USPTO and so is affected by the shutdown. As such, requests for copies of paper files (which normally take 1-4 weeks for production) will likely be delayed. This would not affect electronic files, of course. In 2013, the government shut down lasted for two and a half weeks. The USPTO stayed open then, too, using the same reserve fund. 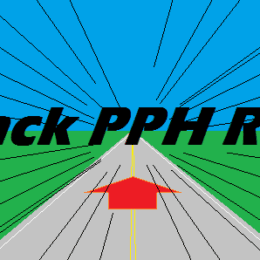 The Patent Prosecution Highway, or “PPH,” speeds up the examination process for patent applications filed in participating intellectual property offices around the world. In most countries, patent prosecution can take quite a long time, on the order of 1-3 years or more. However, under the Patent Prosecution Highway, participating patent offices have agreed that when an applicant receives a final ruling from the patent office of one country, and that office determines that at least one claim is allowed, the applicant may then request fast tracked examination of corresponding claims in a corresponding patent application that is pending in the patent office of another country. For example, if you file a US patent application and a Chinese patent application, and the Chinese patent application receives favorable examination first, indicating that four of the claims are allowed, you can expedite examination of those four claims in the US application. PPH leverages fast-track examination procedures already in place among participating patent offices to allow applicants to reach final disposition of a patent application more quickly and efficiently than standard examination processing. There is no fee under the PPH programs, and often, applications advanced under the Patent Prosecution Highway receive favorable examination. This creates considerable cost and time savings in what is otherwise a very expensive multi-national filing. Many countries or bodies participate in the Patent Prosecution Highway and have reciprocity with the US. Most notably, Australia, the European Patent Office, Canada, China, Japan, Germany, Korea, and the UK all participate. Further, the results of a favorable written opinion or examination of a PCT application can be used as the basis for a PPH request. Nearly every year for the past decade, the Patent Offices have issued more utility and design patents. 2017 was no exception. While former Director Kappo’s guiding hand has often been praised for increasing patent quality, the patent numbers during his oversight improved as well. The Office was without an official director during most of Trump’s first year and is now headed by acting Director Joseph Matal. Despite the uncertainty, in 2017, there were approximately 5% more issued utility patents and roughly 10% more issued design patents than in 2016. Charts from Patently-O can be seen here. A PCT application is a special tool created by international treaty which lets applicants secure international patent protection. It does not create an “international patent,” but it does establish a foundation from which patent applications may later be filed all around the world. Most countries in the world subscribe to the PCT treaty, with a few exceptions (Taiwan, notably). One advantage of a PCT application is that it allows an application to be centrally searched, examined, amended, and if needed, corrected, rather than having to take those steps in X countries at X times the cost. Making amendments and corrections one time, to one application, is much easier and cheaper than making them several times for several applications (and usually through several foreign associates). Changes to the claims can be made in various ways, but normally through Article 19 or Article 34 amendments, which have specific timing and formatting requirements and also involve payment of a submission fee. If the changes are very minor, they could potentially be submitted through a Rule 91 Rectification requests. These requests are reserved for “obvious mistakes,” and the bar for such mistakes is quite high. However, there is no fee involved with lodging a request under Rule 91, and so it can provide an attractive alternative to making an amendment under Article 34, which has about a $400 fee. Rule 91 requests are limited to changes that are so obvious that is becomes clear that “nothing else could have been intended than the proposed rectification.” After speaking with PCT Office specialists who handle these requests, I’ve learned that the requests are granted for things like misspellings and other typographical errors, like capitalization. However, even in some circumstances, capitalization of may considered to give that word a special meaning, and some examiner may refuse such requests. Incorrectly identifying the parts of your invention by typing the wrong reference character (widget 4 instead of widget 44, for example) is not an obvious error, even when the part is correctly identified in every other instance. If in doubt about the acceptability of the correction, a Rule 91 request can be filed. It may be rejected, or refused, and then an amendment under Article 19 or 34 will have to be filed. Applicants and agents appearing before the Patent Office are obligated by a duty of candor and disclosure to the Office. This means, when you file a patent application, you must continually update the contents of that application with anything that may be or become relevant to patentability. This most frequently arises in the form of submitting Information Disclosure Statement, or an IDS. An IDS is often submitted with the initial filing of an application; it will disclose a list of patents, patent application publications, foreign references, and non-patent literature that the applicant was aware of before filing, usually either because of a patentability search, pre-filing due diligence, or knowledge and experience in the industry. However, the duty to disclose relevant prior art continues during prosecution, and applicants will generally disclose prior art that surfaces. Failing to disclose does expose a patent that eventually issues from the application to the risk of invalidation. IDSs submitted during prosecution are often spurred by parallel foreign prosecution. Because the US Patent Office can be quite slow in prosecution, foreign offices frequently will produce relevant prior art before the US. If a PCT application is filed, the International Searching Authority will usually provide its search report before the US Patent Office has begun examination. The results of such a search report should be disclosed in the US. Some foreign offices move very quickly, and examination results there should also be disclosed. This disclosure duty is not limited to prior art revealed before US examination; it continues throughout prosecution. And there are timing requirements for disclosure. The results of foreign offices should be disclosed within 3 months of production. A US patent application may be filed on a number of bases. Most applicants think of directly filing an original, non-provisional patent application in the US. However, roughly half of the patent applications actually are filed by non-US entities and have foreign priority claims. A foreign priority claim allows a later-filed application to adopt the filing date of an earlier-filed application, which can be valuable during examination of the application. A foreign priority claim is proper when the US application is filed under the Paris Convention or as a national phase entry under the Patent Cooperation Treaty. When an applicant files a US application with a foreign priority claim, a copy of the foreign priority application must be submitted to the US Patent Office. The copy must be a certified copy, which means it has to be reviewed and stamped by the foreign patent office. Foreign priority documents do not need to be provided at the time of the filing, but they do need to be provided. So while timing is not of the essence, compliance is important. There are two mechanisms for providing the priority documents. The first mechanism is simply filing and submitting the certified document with the US Patent Office. There are fees involved with obtaining a certified priority document, and it takes time to request the document, wait for it to arrive, and then ship it to the office. The second mechanism uses the Priority Document Exchange program. Some patent offices around the world have subscribed to the PDX program, and if the earlier-filed application was filed in one of the countries, the applicant can request that the office of earlier filing electronically transmit the earlier-filed application to the office of later filing. Provided that foreign filing license and other requirements are complied with at the earlier office, that office will transmit the application. There is no governmental fee for such a request, and it can save considerable time and administrative work. What is a Notice of Allowance in a Patent Application? A few posts ago I discussed trademark notices of allowance. On the patent side, a notice of allowance is a different instrument. It indicates that a patent application has been approved. When a patent application is filed, it is initially processed for formalities and then eventually examined by a patent examiner. The applicant works with the examiner to move prosecution of the application toward allowance. If an examiner issues a notice of allowance, that means that prosecution has, for all intents and purposes, ended and that the claims defining the scope of protection are allowable. The applicant and examiner, essentially, agree on the proper scope of protection. However, a notice of allowance does not naturally result in the issuance of a patent. Rather, it indicates which claims can be allowed and the reasons they are allowable, or how they are different from the prior art. The notice of allowance provides a 3 month window in which the applicant can file final issue paperwork and pay the issue fees. If the paperwork and fees are lodged within that 3 month window, the patent should generally issue; if not, it will not.